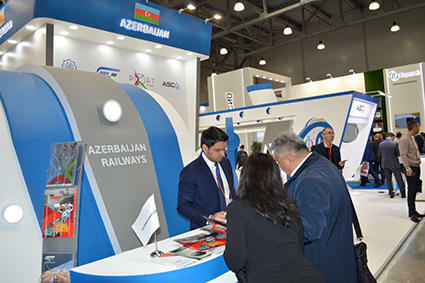 Azerbaijan's stand recognized the best at 24th International Exhibition for Transport and Logistics Services and Technologies TransRussia 2019 in Moscow, Trend reports referring to Azerbaijan Railways CJSC. 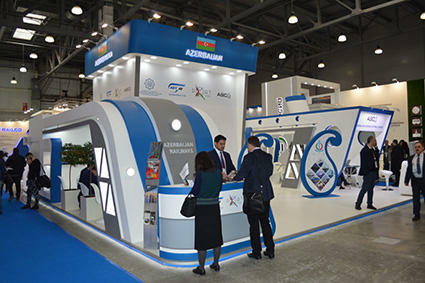 More than 395 companies from 27 countries operating in the field of goods and cargo transportation and providing freight handling services in terminals and ports participate in the event, which is underway till April 17. 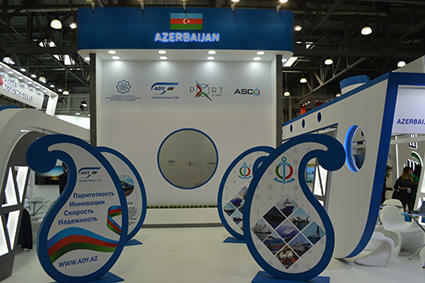 For the first time, Azerbaijan is represented at the exhibition with 120-square-meter-national pavilion jointly designed by Azerbaijan Railways CJSC, the Azerbaijan Caspian Shipping Company and Baku International Sea Trade Port. 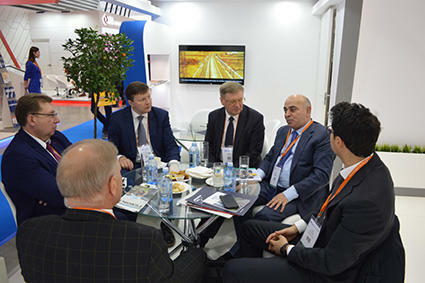 Representatives of three companies updated the visitors about Azerbaijan’s transit potential, rail and sea transportation, capacities of the country’s seaports, international transport corridors passing through Azerbaijan, and advantages of the Baku-Tbilisi-Kars railway. Azerbaijan’s national pavilion has attracted media representatives’ attention. In an interview with the journalists, Deputy Chairman of the Azerbaijan Railways CJSC Iqbal Huseynov said that Azerbaijan successfully implements important projects on diversification of the economy, development of the non-oil sector and expansion of the country's transit capabilities. In his words, transformation of Azerbaijan into a large regional hub for international cargo transportation is result of targeted reforms in this field. More than 16,000 people visited the exhibition on the first day of the exhibition on April 15. 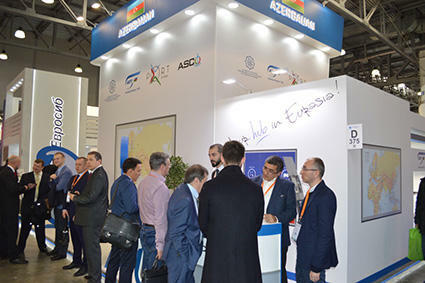 Azerbaijan exhibition stand, which was distinguished by both its design and information it provided, caused a vivid interest among the visitors and participating company and won the nomination "The Best National Exposition". During the event, bilateral meetings were held with representatives of the companies from different countries were held, the views on the issues of mutual interest were exchanged and preliminary agreements on establishing business relations were reached. 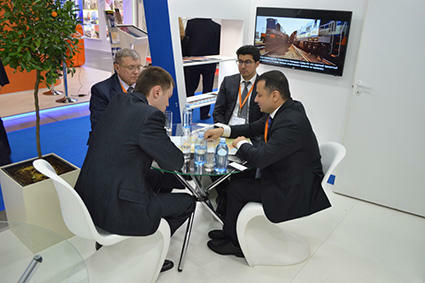 A gala evening was held for representatives of the companies participating in the exhibition.